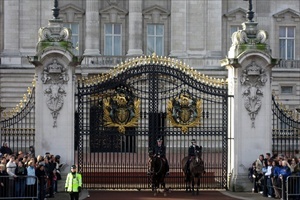 Talk of working royal palaces and the one that instantly comes to mind is the Buckingham Palace, the official residence of the British monarch. First opened to the public in 1993, the palace has over 700 rooms, the grandest of them being its 19 State Rooms that visitors get to tour around when the palace is opened to visitors every summer. These rooms are grand in every sense of the term, aesthetically adorned with some of the finest treasures and artworks from the Royal Collection, including rare paintings by Rembrandt, Canaletto and Rubens as well as exquisite sculpture by Canova. The iconic clock tower, nicknamed the ‘Big Ben’ referring to the clock’s 13-ton bell, stands tall as one of the most visited tourist landmarks. Ticking since 1859, the clock tower owes its Neo-gothic look to Charles Barry who redesigned the tower after the original architecture was destroyed by a fire in 1834. An integral part of the Palace of Westminster, the clock even indicates when parliament is in session and a special lantern, the ‘Ayrton Light,’ is lit above the clock faces. The monument looks exquisite when illuminated against the night sky. 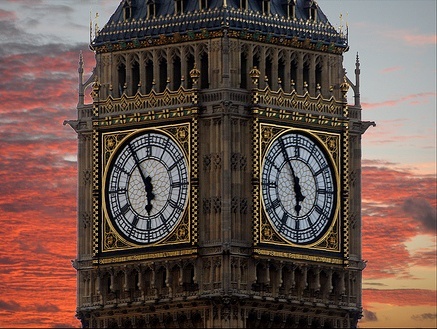 The Big Ben is believed to have been named after Sir Benjamin Hall, who was the first commissioner of works. Not just a piece of ornate architecture, the clock is also famed for its consistency and continues to strike the hour with astounding accuracy even today. 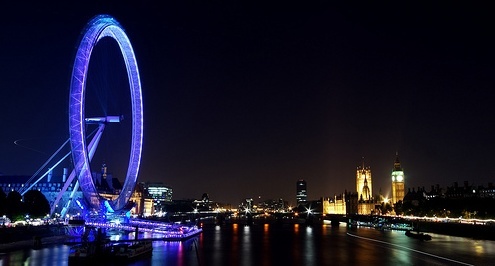 lingering ‘flight’ over the city – one that tourists cannot afford to miss. Towering over the city at 135 metres, this tall structure incorporates elements of air, earth, water and time. Symbolising the cycle of life and marking the city’s transition into the new millennium, this monument, open throughout the year, lets tourists look over the city with a new perspective. The 60 passenger capsules stand for Time, bringing to mind the minutes of an hour. Capable of accommodating up to 25 passengers, these capsules light up internally upon embarkation, acquainting visitors to one of the city’s most fascinating experiences. Make sure you carry a camera to click those special moments. Tussaud's, one of the largest wax museums in the world. It scores high on the popularity chart. Serpentine queues are a common sight at this location. The upside, however, is tickets can be pre-booked online. Having meticulously attained a semi-official status, the museum houses life-like wax models of some of the world’s most famous personalities – all waxed and happy to pose with visitors for pictures. That’s not all. The site also has a planetarium, but the admission price to it can be a deterrent. Besides the planetarium is much like most other planetaria that dot various cities across the world, which is why some visitors decide to give it a skip. The Anglican cathedral on Ludgate Hill, St Paul's Cathedral, is not only the highest point in the city but is also the seat of the Bishop of city. Symbolising hope and resilience, this majestic structure, designed by Sir Christopher Wren, is nearing its 300th anniversary. The original cathedral on this site dates back 1,400 years. It is one of the tallest and most recognisable sights, its dome – rising 108.4 metres from the floor – covering the central space of the cathedral. One of the highlights of the dome is its eight monochrome paintings by Sir James Thornhill – depicting the life of St. Paul – that embellish the dome's interior. Holding hourly prayers as well as daily services, this masterpiece continues to inspire one and all; and is definitely worth a visit. The British monarch's royal palace and fortress, this castle encloses nearly a thousand years of history. It has been the living quarters of monarchs; and has witnessed many political intrigues and imprisonments of conspirators, including lords, knights, ministers and clergymen. It once housed great animals including lions and bears. Flightless ravens have been a part of this tower for centuries. These birds are attended to by the tower's Raven Master. What makes this tower even more fascinating is the fact that it also happens to be the site where the Crown Jewels are stored. You could go ahead and plan a trip to the city only to visit Harrods, the famed department store. Yes, this shopping mall is all about extravagance, bursting with scores of designer labels, accessories, beauty products, exquisite jewellery, home goods, food... the list can go on. The store is a glittering sight, the formidable line-up of products on display capable of leaving visitors awestruck. If you plan to visit Harrods, do ensure you have plenty of time in hand because this one is no ordinary store; and presents such an incredible ambience, you will find it hard to pull yourself away from it. The experience is awe-inspiring but you will not feel lost because the store can boast of a strong customer service. In fact, you have people especially dedicated to guide you at every corner. For those with a sweet tooth, don't ever miss the chocolate croissants and pastries. This Gothic church in Westminster is the site for royal coronations and entombments and, naturally, has great historical significance. Westminster Abbey displays the Coronation Chair of King Edward I. Made on order from oak, this chair has been an integral part of investiture ceremonies since 1308. The church has also been a site for royal marriages for ages. In addition, it has been the final resting place of many famous British personalities, including Lord Louis Mountbatten and Lady Diana. Those commemorated or buried here include notable British politicians, soldiers, renowned scientists, litterateurs, musicians and actors. Tourists with a penchant for English poetry should not miss visiting the Poets' Corner. The most famous road junction, Piccadilly Circus, is one of the most popular public spaces in the city and also among the most photographed. 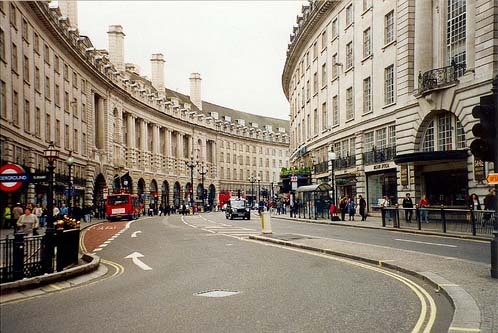 It was built way back in 1819 to connect Regent Street with the significant shopping street, Piccadilly Street. Circus refers to a circle here – to the round open space five downtown streets merge forming one of the world's most bustling traffic circles in the world. At a stone’s throw is the pedestrianised Leicester Square that has witnessed innumerable international film premieres. Also worth visiting is Covent Garden, renowned for its shopping joints, street performances, restaurants, bars, theatres and, of course, the Royal Opera House. The British Museum’s formidable collection of seven million objects speak for themselves, capturing the human history and culture from the primitive to the present, and housing some of the rarest artefacts and relics from around the world. Over five million people visit the Museum every year to see the galleries and temporary exhibitions and even take part in events organised under the aegis of the museum. Clearly one of the most coveted public buildings. The National Gallery houses rare paintings to die for. Boasting of an extraordinary collection, the National Gallery houses masterpieces of Renaissance greats and has a remarkable collection of the Spanish painter Diego Velazquez, the largest outside Spain. In addition, you can also see Flemish art, Italian masterpieces of the Renaissance era, artistic evidence of the Italian Seicento, as well as rare works of some of the greatest French painters. If you are visiting the city with kids, it is imperative that you give them their share of fun by taking them around to visit some of the city’s most popular spots for kids. A growing number of public places in the city now have diaper-changing and other facilities for children. 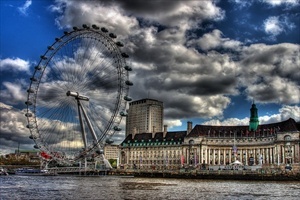 So, you and the kids travelling with you can look forward to a great time in the city. The different modes of transport in city are likely to get kids curious. The underground ride, for instance, can be particularly exciting for a kid who has never travelled underground before. Or, you could let them experience a ride in one of the city’s iconic red double-decker buses. Keep a map of the city handy and involve your kids while deciding on a route. If you feel landmarks are not exciting enough for kids, try taking them to the City Tower and the Tower Bridge. The sheer magnificence and size is these structures are enough to inspire pleasure and awe. Besides the picture of the Tower Bridge is etched in the memory of almost every child who has read the nursery rhymes. Seeing the real bridge can be a fun-filled experience. You can be slightly more adventurous if you are travelling with slightly older kids. The city’s Dungeon is another interesting tourist attraction that older kids may enjoy visiting. Capturing some of the city's gruesome moments, the Dungeon is not for the faint-hearted and may scare little children. However, older children accustomed to horror tales and movies, particularly boys, are expected to find the visit exhilarating. Don’t forget to take them to Madame Tussaud’s as well. They will love to have pictures clicked with their favourite movie stars and idols, or even famous personalities they may have seen on TV or in the pages of their history book. If you do want your kids to visit the city’s various museums without getting bored, it may be a good idea to make a multiple short trips to these museums instead of taking them for a long-drawn museum visit. Entry to the city’s museums is free. So, there’s no reason why you should trap them in a museum all day when there are so many wonderful things to discover and see in the city. The city’s zoo is also a safe bet, almost guaranteed to give your kids a fun-filled experience. If you are willing to travel to the city’s outskirts, include Legoland and Chessington World of Adventures Resort in your list of places to visit with kids. Do consider the extra expense of travelling out of the city while planning to visit these sites. Even within the city, there is a whole range of activities to keep your kids busy and places that are sure to excite their imagination. The parks in the city are safe to walk and are an integral part of the city’s landscape. Walking from Westminster to Holland Park, for instance, can be a pleasurable experience. Make a note of the Orangery, the Opera House and the Kyoto garden in Holland Park in your list of things to see in the city. The park also has an excellent youth hostel overlooking the park. The lake and pelicans are a huge attraction in St. James Park. The view from atop the bridge in this park towards Whitehall is one you should not miss. All the parks are carefully maintained and have beautifully cultivated gardens. However, Regent's Park deserves a special mention because of its zoo that houses an impressive collection of exotic animals. The Hyde Park is known for its Speakers' Corner, an interesting place to visit for those believing in free speech and equally for those just looking to relax. Originally the private gardens of Kensington Palace, Princess Diana's official home, Kensington Gardens is located next to Hyde Park. It is famous for its royal dress collections. The Natural History Museum is famous for its collection of the tallest, biggest and rarest species of animals in the world. The permanent exhibition of the dinosaurs is a huge attraction. Among the notable things to see include a real-size model of the Blue Whale, the earthquake simulator, a 40m-year-old spider and a huge, elephant bird egg. Talking of museums, you cannot miss the Science Museum encompassing the important scientific advances spanning 300 years. Check out the museum’s hands-on exhibits – there are 2000 of them – as well as over 40 galleries. Allowing visitors a peep into the future, the Wellcome Wing is one of the museum’s most ambitious projects and is definitely worth stepping into. Other attractions include the IMAX theatre and the virtual reality simulator. If you have a penchant for art and design, you must visit the Victoria &Albert Museum, which houses exquisite artefacts from across the world – some dating back 300 years. From ceramics to furniture to fashion to glass and jewellery, there is an astounding collection of rare art and décor. Also included are rare photographs, textiles, paintings and sculpture. The list of museums cannot be complete without mentioning the National Maritime Museum, with interesting maritime displays, pictures – some depicting famous voyages – as well as trophies from various continents. It also has the most comprehensive maritime reference library, which is also the world’s largest. The All Hands gallery is pretty popular among children. Don’t miss the feel of the sea on the professional ship simulator. Tate Modern is beautifully located on the banks of the River Thames and houses exquisite works of Picasso and Matisse besides contemporary creations, showcases and installations. If you are an art aficionado and want to take back with you memories of viewing one of the greatest collections of Western European painting, then a visit to the National Gallery is a definite must. Entry to all these galleries is free. Marked by a number of statues, including the lion statues at Nelson's Column, and two beautiful fountains by Sir Edwin Lutyens, Trafalgar Square is among the most popular tourist spots. Scores of pigeons congregate at the site although feeding the birds is prohibited as a measure against spread of diseases. The National Gallery and the National Portrait Gallery are close by and both have both permanent and special exhibitions that you may want to check. A royal palace, best known as the residence of King Henry VIII, Hampton Court is famous for its parks and gardens, huge Tudor kitchens and Real Tennis court. Once inside, you can avail of free guided tours, some even in costume. The parks make it an ideal destination for bike trips. (Lambeth Palace) all spread out to create one comprehensive image for you to take back home. 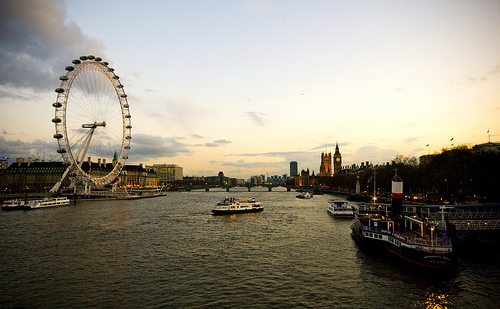 You may also choose to take a boat tour to the Thames Barrier, Greenwich or the Millennium Dome. The city’s association with theatre is centuries old. Your visit to the city would be incomplete if you do not watch a theatre performance. The shows do not cost much. Don’t miss the Classical Music and the Opera. memorial, has an impressive display of rare photos of the Princess – a site very close to the city’s heart.